RIM sat on the sidelines with headlines bashing not only its financial performance, but its products, for the past few years. It hung out on the bench drinking Gatorade while Apple, Android and even Windows Phone took to the field and shined in the spotlight. Most of what was reported on the company seemed negative: was it going to sell off all of its assets and intellectual property and vanish altogether? 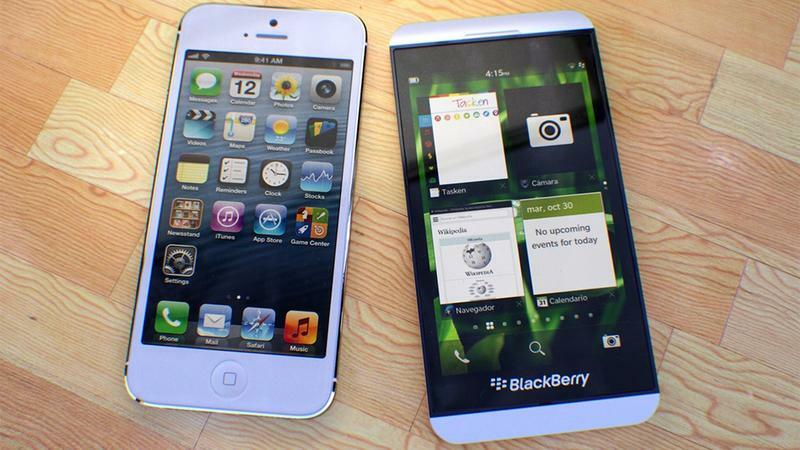 Would it delay BlackBerry 10? (It did), would it ever get Blackberry 10 devices out the door? The answer, as you already know, is yes. Tomorrow we'll be treated to BlackBerry 10 and the first device, likely the Z10. For the first time in a while, RIM's stepping off of the bench and entering the field with a fresh set of cleats on. It's going to not only enter the game, but it's going to start. And this is big news for RIM, because at this point any excitement is good excitement for the company. I've already asked whether or not RIM was being too bold by scheduling its BlackBerry Live conference during the same week as Google I/O this May, and tomorrow we'll know the answer. Are its devices sluggish or quick? In our experience, we saw nothing but speed, but those were on units controlled by the product managers (we couldn't install apps and the features weren't all active). The reason I'm even writing this editorial is that I've been asked by a few friends: Do you really think RIM is going to come back? And that's not entirely the whole point here. Yes, I think RIM has a really good chance at making a comeback with BlackBerry 10, but it's going to be a tough struggle no matter how great its products are. Don't forget that webOS was fantastic but was ultimately killed off because of bad decisions made by HP, Palm and existing partners. My point is that RIM only needs to make a little comeback to make big news. This is a company that has been written off to the grave by nearly everyone out there. Even a little sparkle tomorrow will get the press and analysts talking more about a company, perhaps in the first positive light that it has seen yet. If a million consumers, and that's a tiny, tiny fraction of the global population, buy a BlackBerry next year, that's a million consumers who didn't choose Android, Windows Phone or iOS. We can't forget that – and it's why I've argued time and time again that RIM didn't die overnight. It died as iOS and Android slowly ate away at its market share. We'll have our thoughts for you tomorrow, but we all need to remember that nothing ever happens immediately. The answer RIM needs to give us is whether or not it can stay on the field for the long term. Whether or not it can play the whole game. Any injury or setback could put it right back on the bench, and likely for the final time.